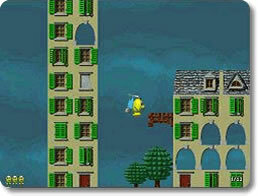 Speedy Eggbert Game - Download and Play Free Version! Fly, swim, run and jump with Speedy Eggbert to find as many eggs and as much treasure as possible!! 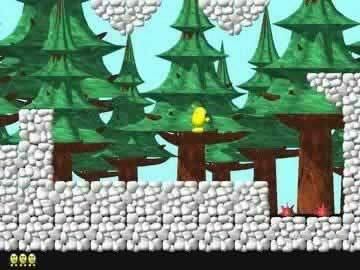 In Speedy Eggbert your child will make their way through 40 detailed levels in 7 different worlds! As they go from level to level, the object is to collect as many eggs and treasure chests as possible before time runs out. As Speedy Eggbert, you will master a variety of moves including swimming, climbing, flying a helicopter, skateboarding, driving a car and more! 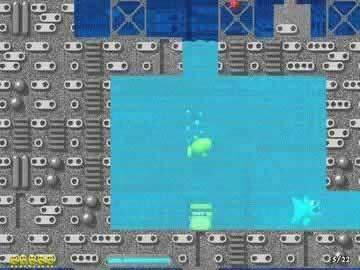 Player created video showing several levels of gameplay.